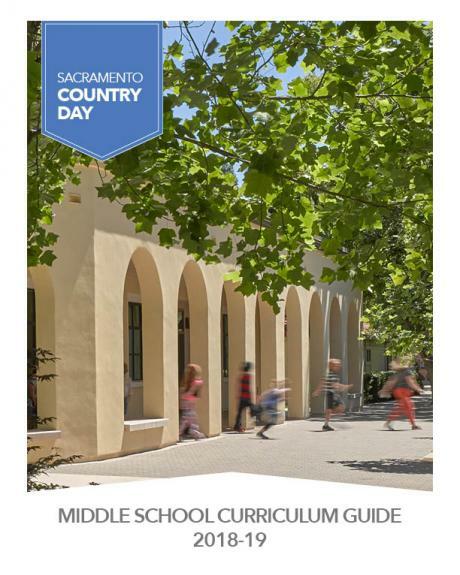 All Middle School students experience six core classes per day: English, math, history, science, a world language, and physical education. In these classes students learn by writing, observation, critical thinking, discussion, simulation, projects, and collaboration. The English program focuses on literature, writing, vocabulary and grammar. Literature primarily involves novels but also includes poetry, mythology, short stories, and non-fiction texts, which provide a rich foundation for discussion, critical thinking, and analysis of literature. Independent reading is also incorporated to provide a context for a life-long love of reading. Writing is taught as a process with rough drafts, revisions, and polished final products. Grammar and vocabulary are taught directly to some extent but they are primarily taught contextually in both literature and in the writing process. 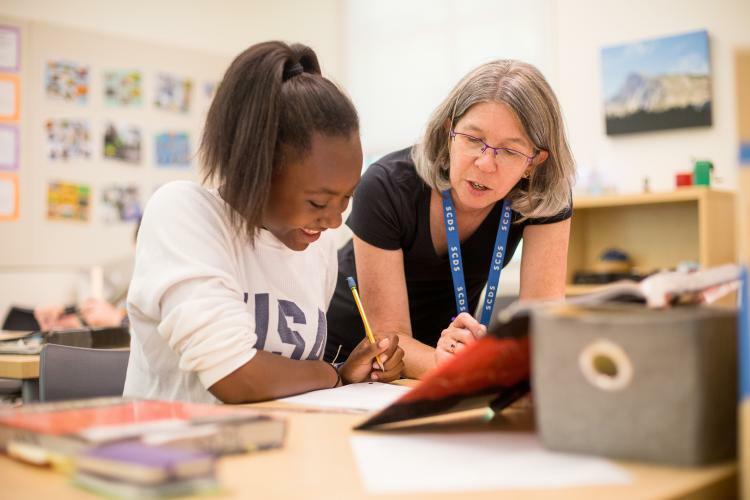 Sixth grade math is foundational to the Middle School program with the goal of preparing students for their transition to Algebraic mathematics. Seventh grade mathematics splits into two groups: Pre-Algebra and Algebra. Those students who take Algebra in seventh proceed to Geometry in eighth grade, while the remainder are in Algebra. In all grade levels projects complement the course and synthesize the concepts. These may include logic problems, coding, and hands-on projects. 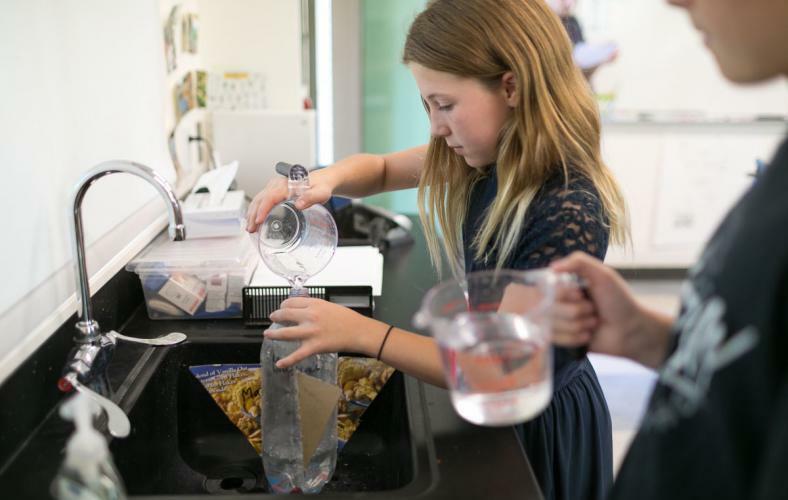 Because it is important students experience science as a process for conducting research – for investigating, experimenting and gathering new information – Middle School students study in the context of the scientific method: hypothesizing, experimenting, and analyzing data. Sixth grade studies physical science, seventh studies life science, and eighth studies earth science. Emphasis is placed on kindling a sense of wonder and curiosity through experiments, discussion, projects, and writing. 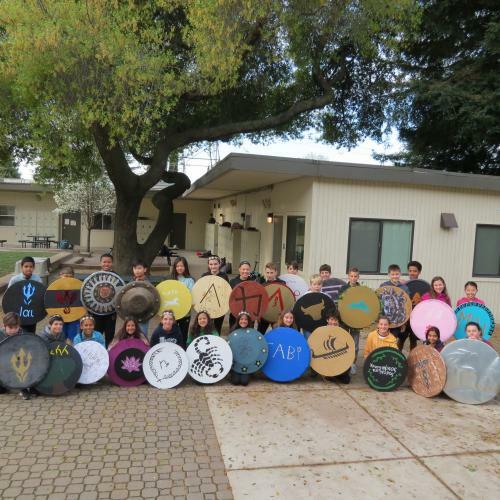 The history program immerses students in ancient history, world cultures and American history. A traditional approach is mixed with role-playing simulations, projects, experiential learning, expository writing, analytical reading, research, discussion and critical thinking. Study skills are included in each grade level. Students are challenged to step into the lives of the world’s peoples in our mutual past. 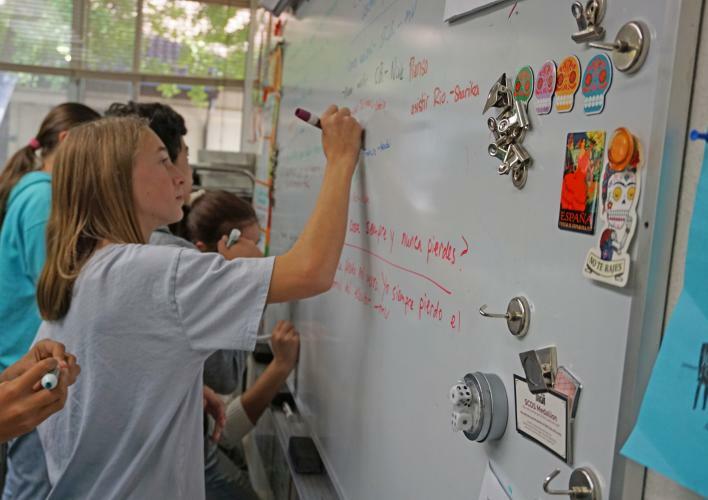 The Middle School language program – Spanish, French, and Latin – employs a multi-faceted approach to the study of language. Listening comprehension, conversation, writing, and grammar are emphasized through traditional textbook and workbook activities as well as field trips, projects, games, paired discussions, and activities to engage in listening comprehension with physical and verbal responses. The primary objective in Latin is to read Latin, with some emphasis placed on listening, speaking and writing. All Middle School language students participate in national language contests. Cultural aspects of the ancient Roman world and contemporary French and Spanish speaking countries are also integral to the program. 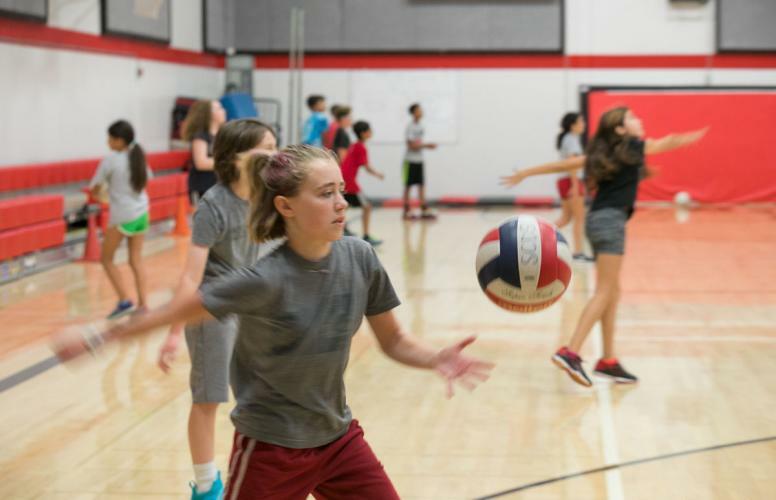 Because Physical Education is an integral part of the Middle School program, students take PE every day. In addition to promoting fitness and health, the program exposes the students to and builds competence in a wide variety of different sports: volleyball, soccer, golf, flag football, badminton, basketball, floor hockey, disc games, softball, dance and gymnastics. The program emphasizes skill building, participation, teamwork, and engendering a life-long commitment to fitness.